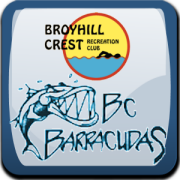 BCRC offers two swim programs, Barracudas competitive swim and Bubbles developmental. Pool Membership is required for participation on swim team or Bubbles (Memberships are available!). After you've signed up your children on your family's Base Membership, you can then sign them up for either the Barracudas or the Bubbles swim programs here. Cost is $90 for each Barracuda and $60 for each Bubbles swimmer. Read more about the Barracudas program by clicking here. Read more about the Bubbles program by clicking here. For Bubbles, please register your child/children as soon as possible so that we can adjust coaching staff. First practice will be on June 23rd. Select the number of family members that will be joining either the Barracuda or Bubbles swim teams. Then fill out each participant's information below and select which team they will be on. 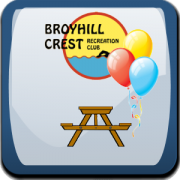 Cost per participant is $90 for Barracuda or $60 for Bubbles. For Barracuda Team: if you have any participants that will be on the Barracudas Swim Team, please list here any dates you will not be available during the season. This is for planning for meet purposes. If at all possible, try to be at all the “A” meets and Relay Carnival as this affects the relays. By entering my name here, I certify that as the parent or legal guardian of the participants contained on this application that I hereby give BCRC representatives my permission, in an emergency, to take my child(ren) to the emergency room of the nearest hospital, at my expense. Furthermore, I authorize the medical staff of the hospital to provide treatment which a physician deems necessary for the well being of my child(ren). All swim team participants must complete the NVSL Participation Waiver prior to first practice, so please download, complete and bring the waiver to the first practice. BCRC offers two swim programs, Barracudas competitive swim and Bubbles developmental. 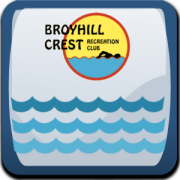 Pool Membership is required for participation on swim team or Bubbles (Memberships are available!). After you’ve signed up your children on your family’s Base Membership, you can then sign them up for either the Barracudas or the Bubbles swim programs here. Cost is $90 for each Barracuda and $60 for each Bubbles swimmer. See the schedule for more information. You can read more about the Barracudas program by clicking here. Bubbles Developmental Swim Team: The Barracuda Bubbles program is designed to provide young swimmers (ages 3-8) with basic swimming skills essential for continued involvement in the sport of competitive swimming. 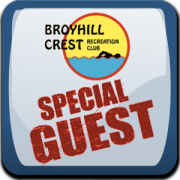 The program’s purpose is not to provide technical swim lessons; rather, it is designed to help younger children become comfortable in the water, learn some basic water skills, and have fun! When a Barracuda Bubble demonstrates the ability and desire to swim with the 8 and under group, they will be encouraged to move up. This decision will be based on the swimmer’s ability to swim a full length of the pool without help, the child’s desire, the coach(es’) recommendation, and the parents’ judgment. You can read more about the Bubbles program. You can read more about the Bubbles program by clicking here.